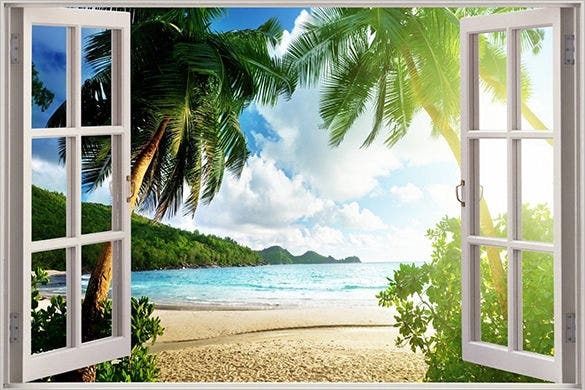 One of the common artwork of paintings is most likely environmental or nature lover just like beaches. 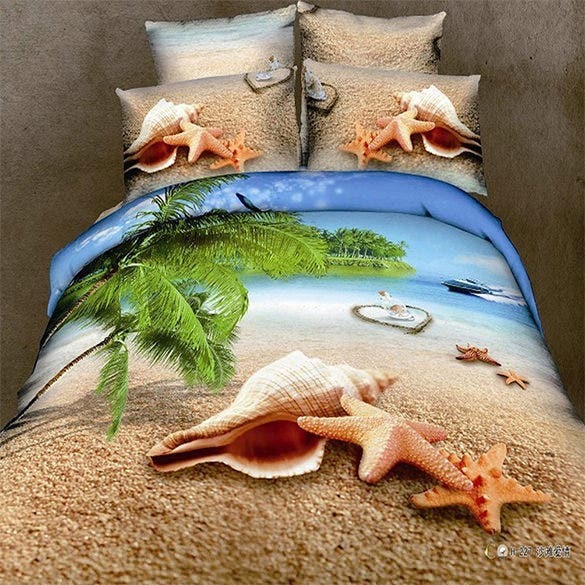 Beach painting is a design painting that gives tranquility to people who will see the beach scenery. It is a way of releasing the stress and finds something that will unwind you from work and problems. Since we have the latest technology of using 3 dimension effects, this can be apply also to beach and other paintings as well. You can also see 3d body paintings. 3D paintings have been quite famous these days. With the advance in technology, a lot of artists are using 3D effects in their paintings and their art forms. 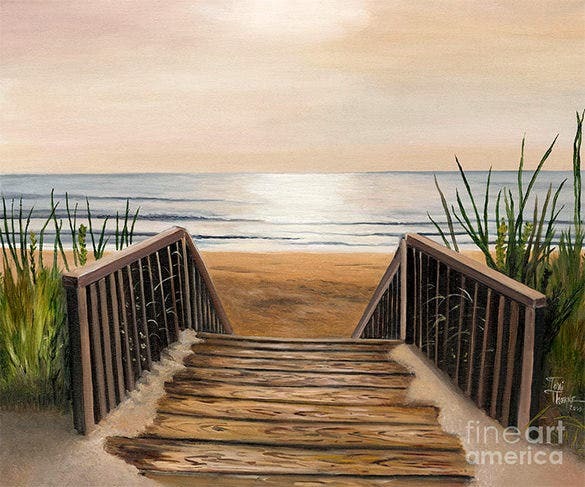 This is an amazing 3D beach painting where the two ends of the stairs looks like going under the sea. This is an amazing 3D beach painting where the entire picture looks like a model built on a board. This painting looks like a 3D visualisation. This template can be downloaded and printed for use. 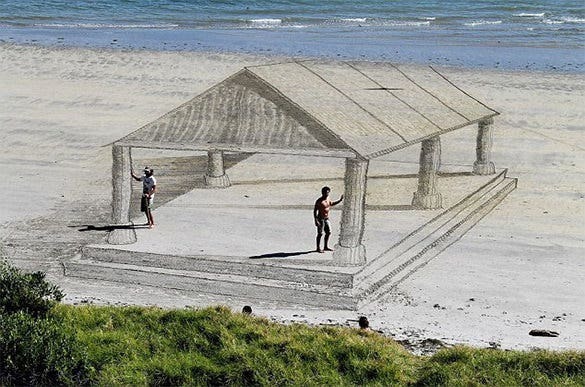 This is an amazing 3D beach painting where the painting has been created to look like architecture with a shed and pillars and two men standing on the beach with their hands on the pillars. This is a mind blowing 3D painting of a beach taken from afar where the entire picture looks like it has been constructed on a board. This painting is an amazing 3D visualisation. A lot of attention has been paid to the details. 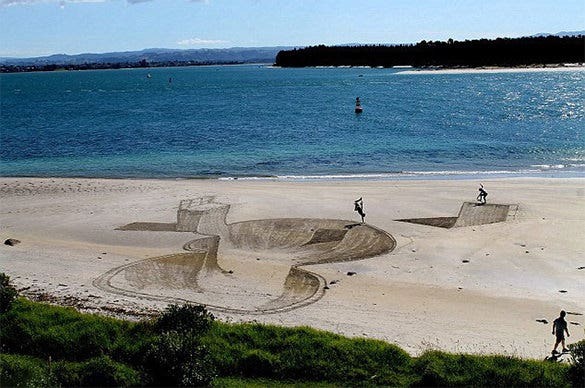 This is an amazing 3D beach painting. 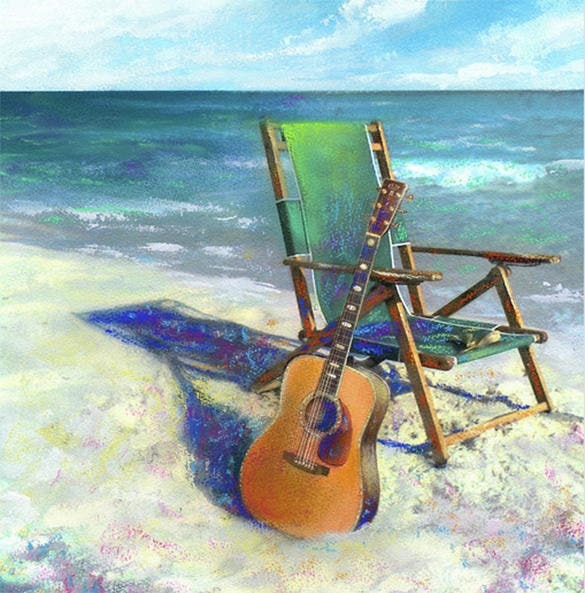 This painting has been done using watercolour and pastel colours of a guitar leaning on a chair in the beach. The shadow of the chair and the guitar makes it look real like. 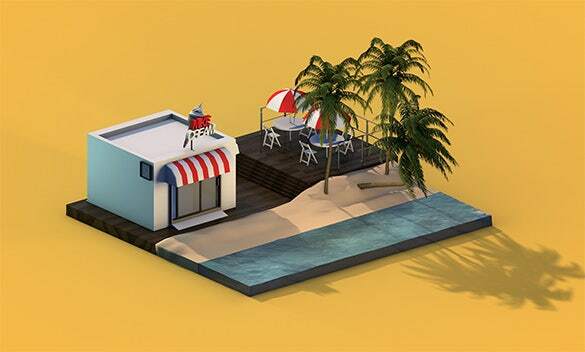 This is a lovely 3D beach house painting which looks more like a construction model than a painting. Especially with the shadow of the tree, this painting looks like an actual model kept on a flat surface. 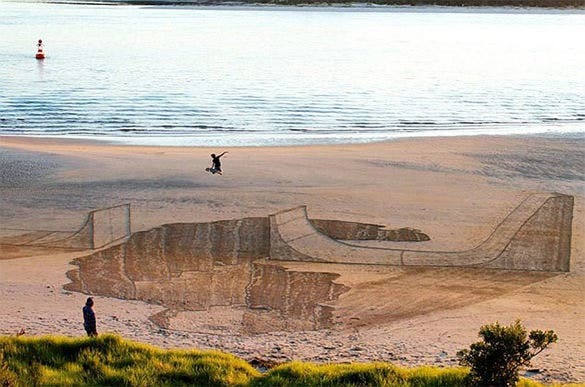 This is a mind blowing 3D beach painting where it has been drawn to make look like a skating arena has been constructed on the beach and two people are skate boarding. A lot of attention has been paid to the details. 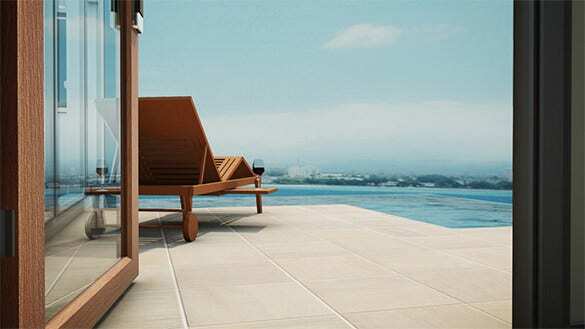 This is an amazing 3D beach painting of a beach chair on the porch by the beach. This image looks more like a photograph than a painting. A lot of attention has been paid to the details like the shadow. 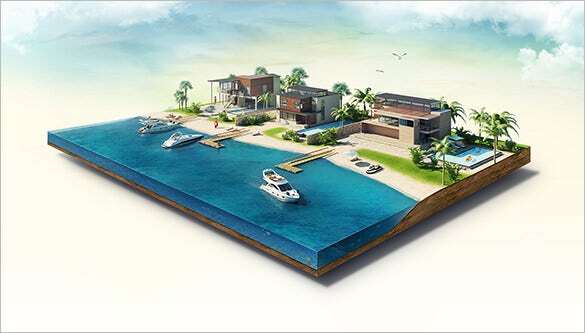 This is a marvellous 3D painting of a beach where small steps are drawn that will lead you to the beach. This painting is beautiful and inviting. The details like the wood texture have been painted beautifully. This is an amazing abstract 3D beach painting where it is made to look like a skate boarding arena has been constructed at the beach and a person is skate boarding while another person is looking at the view. 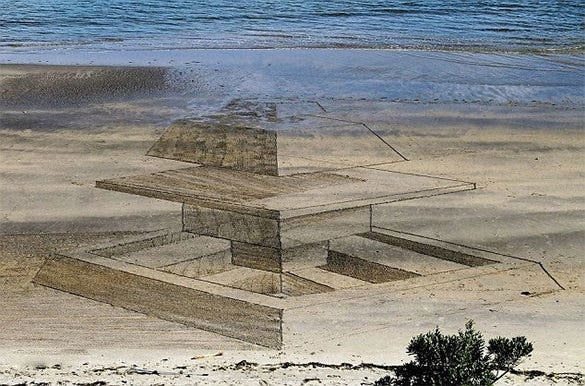 This is a beautiful 3D beach painting where the artist has made it look like a structure has been constructed on the beach. This painting can be downloaded. You can also print it for your house interior. 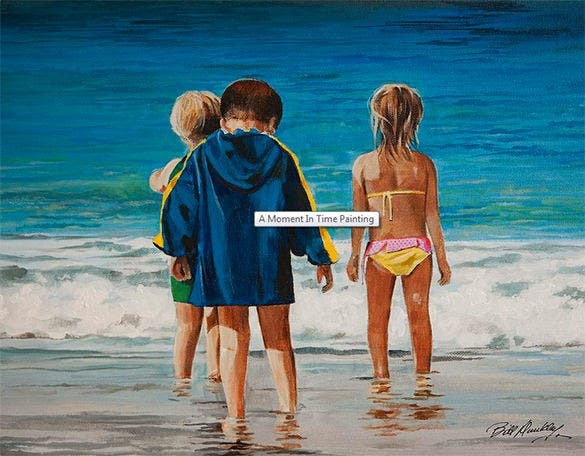 This is a very nice 3D painting of three children standing on the beach at the edge of the sea. The composition in this painting is beautiful. This picture can be printed and framed for your use. This is an amazing 3D painting of a beach in Cuba. 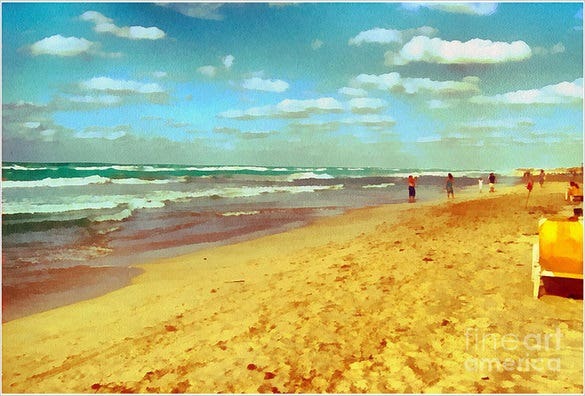 The golden tone in this painting allows you to feel the warmth of the sun in the beach. This painting is dynamic and full of life and warmth. 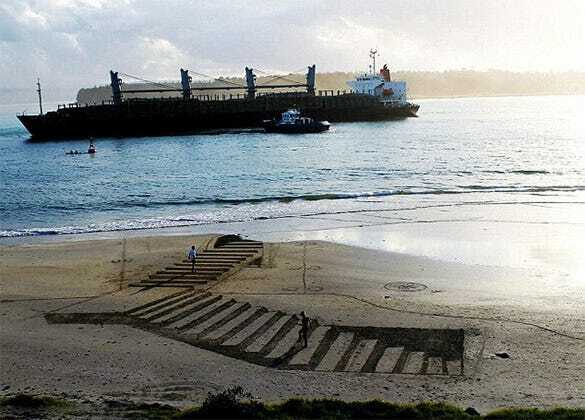 This is a fantastic 3D beach painting. 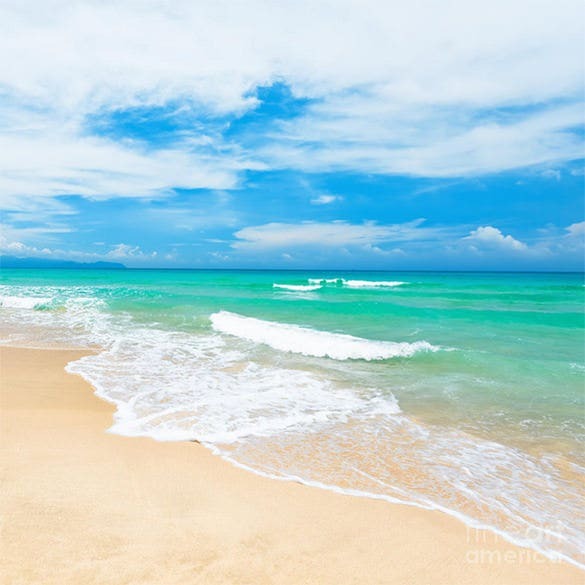 The artist painted a beautiful picture of a sandy tropical beach on a sunny day with waves washing over the sea. The sky has been painted to look as good as real. This is a mind blowing painting. The artist has painted a wall mural which can be hung on a hotel room or in your house. 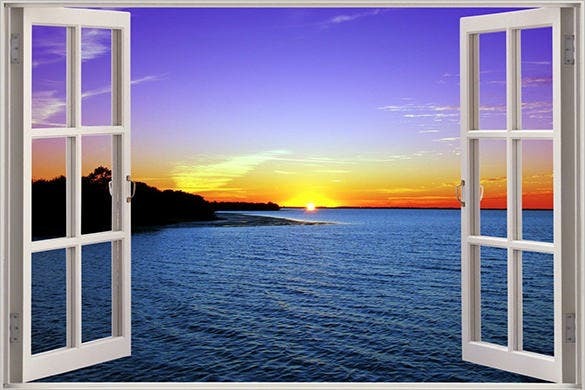 The painting gives an illusion of an open window which outlooks the beach. Using a website, there are different samples of beach scenery applied as their means of creating an artwork painting. 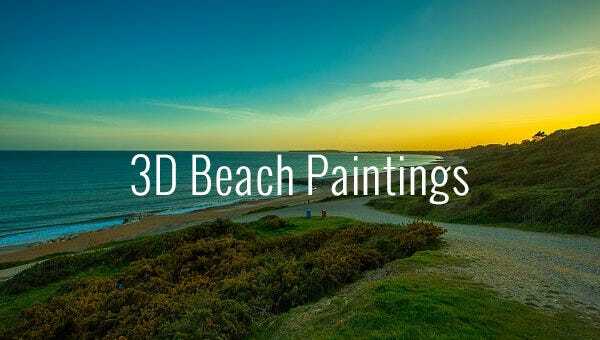 Beach paintings with 3 dimension effects look to be more realistic and anyone can feel that they are in the beach setting. 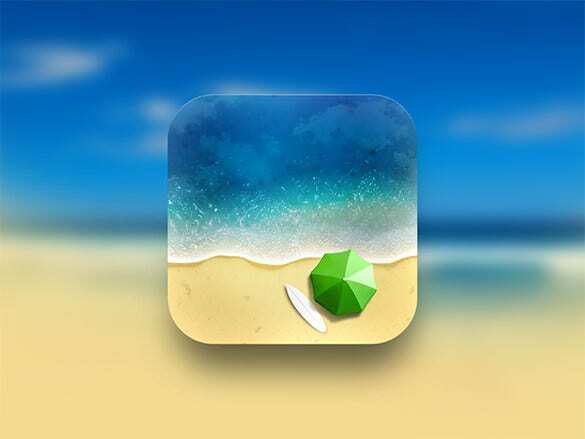 This can be accessible in the website and any painters can utilize the 3d beach designs for their creation of paintings.